Dr. Brooke Rossi has been a reproductive endocrinologist and infertility specialist for over 10 years. She recently joined Ohio Reproductive Medicine after practicing in Northeast Ohio for many years. Dr. Rossi is board certified by the American Board of Obstetrics and Gynecology in Obstetrics and Gynecology (2010) and Reproductive Endocrinology and Infertility (REI) (2013). 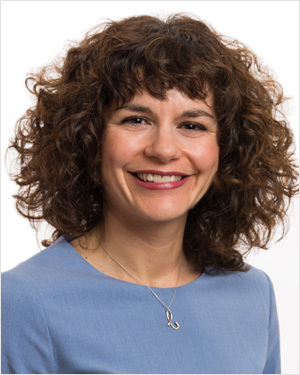 Dr. Rossi is a graduate of the University of Pittsburgh School of Medicine and completed her residency in Obstetrics and Gynecology at the University of Rochester. Her subspecialty fellowship in REI was completed at Brigham and Women’s Hospital, Harvard Medical School. During her fellowship, she was awarded the American Society for Reproductive Medicine In-training Award for Research on her project reviewing the effects of alcohol and in vitro fertilization outcomes. Her clinical interests include infertility, IVF, recurrent pregnancy loss, polycystic ovary syndrome, and minimally invasive surgery. She has a special research interest in lifestyle factors and fertility and in vitro fertilization. She has been published in Obstetrics and Gynecology, Fertility and Sterility, and the Journal of Clinical Endocrinology and Metabolism. Dr. Rossi is an adjunct assistant professor in the Department of Obstetrics and Gynecology at The Ohio State University. She is a member of the American Society for Reproductive Medicine and American College of Obstetricians and Gynecologists. She is on the electronic communication committee of the Society of Assisted Reproductive Technology. In her spare time, Dr. Rossi enjoys local attractions in Ohio, like farmers’ markets and festivals. She and her family are often found hiking or biking. She loves the four seasons and may be the only person hoping for more snow in Columbus.